This article analyzes how the Portuguese overseas empire was integrated into the global politics of the Hispanic monarchy. By studying the conflict of Ormuz in the period between 1600 and 1625 and by seeking parallels with other conflicts scattered throughout the different regions of the empire, it seeks to demonstrate that the evolution of the Portuguese overseas territories during the Iberian union largely depended on the geopolitical priorities of Castile, something which contradicts the thesis of Portuguese political autonomy that historiography has long defended. Iberian Union; Ormuz and the Persian Gulf; Portuguese Overseas Empire; Hispanic Monarchy. Este artigo procura demonstrar a forma como o império ultramarino português foi integrado na política global da Monarquia Hispânica. Analisando o conflito de Ormuz no período compreendido entre 1600 e 1625 e procurando paralelismos com outros conflitos dispersos pelos diferentes espaços do império, procura demonstrar que a evolução dos territórios ultramarinos portugueses durante a União Ibérica dependeu largamente das prioridades geopolíticas de Castela, algo que vem contradizer a tese da autonomia durante muito tempo defendida pela historiografia. União Ibérica; Ormuz e o Golfo Pérsico; império ultramarino português; Monarquia Hispânica. The conflict of Ormuz at the beginning of the seventeenth century, which resulted in the Portuguese defeat in 1622 and in the consequent loss of this important eastern fortress, is a topic that has been studied almost exclusively in terms of its direct relationship with the decline of the Portuguese empire in Asia. However, the integration of Portugal into the Hispanic monarchy (1580-1640) makes it necessary to consider the global equilibrium of the Habsburg Empire throughout this period. The main purpose of this article is therefore to demonstrate how the question of Ormuz was dealt with in Madrid, while also seeking to understand in what way the evolution of the Portuguese position in the Persian Gulf was conditioned by the perception of, and the importance attributed to, the region in the global politics of the Habsburgs. For a long time, the effects of the Habsburg government on the politics of the Portuguese empire were generally disregarded by historiographies describing the Portuguese overseas empire and the union of Portugal and Castile. The privileges granted by the Carta Patente of the Cortes de Tomar, which stipulated that the two empires would be kept separate, and that the kingdom of Portugal would retain its autonomy, has led historians to believe that the different Portuguese colonial territories evolved in isolation from the overall evolution of the Hispanic monarchy.2 Whenever the dynastic union was considered, it was only to find the Catholic monarchs responsible for all the empire’s misfortunes. It is true, however, that the theses of both autonomy and negligence have started to be gradually questioned by an impartial historiography, a historiography that is concerned with the impact of the Habsburg government on the political, economic, social and cultural framework of Portugal and its empire, and which has devoted privileged attention to the Iberian Atlantic world.3 However, studies about the Portuguese overseas territories in Asia are far rarer, and it is generally still believed that the Habsburg government had no influence whatsoever on the politics of the Estado da Índia and the succession of events that occurred in many of its territories4 (something that is immediately contradicted by the very existence of works such as the 1582 Livro das Cidades e Fortalezas). During the union of the Portuguese and Castilian crowns, the territories of the Portuguese empire were administered closely by Madrid, notwithstanding the existence of Portuguese institutions and actors in Lisbon and Madrid whose purpose was to guarantee Portuguese representation in the monarchy as a whole. The Portuguese territories became part of a strategy that had ramifications throughout Europe and the Mediterranean, the Americas and the Atlantic Ocean, the Far East and the Pacific Ocean. The reason is very simple: the complementarity between the spaces of the two empires was too closely intertwined, not only geographically, but also politically and economically, making it impossible for Madrid to exclude the Portuguese overseas territories from its global politics.5 This fact was particularly crucial at a time when the immense spread of the Habsburg realm was beginning to reveal certain weaknesses, and when the challenges presented by the growing competition of the North European maritime powers were gradually multiplying. Indeed, the administration of the Portuguese empire during the Habsburg government cannot be conceived of as existing outside the political and administrative framework of the Habsburgs, with all of their interests, strategies, and priorities. However, the Portuguese overseas empire was a far-reaching structure, with territories scattered throughout several different regions in the Americas, Africa, the Indian Ocean, the Persian Gulf, Southeast Asia, and the Far East. Some of these regions were naturally closer to the core interests of the monarchy, and it was only natural that Madrid concentrated most of its attention on those territories. When dealing with the many challenges of the Portuguese overseas territories, Madrid acted according to an informal hierarchy of priorities, dictated by the Castilian perception of each territory and the way in which they affected the central interests of the monarchy. What was the place of Ormuz and the Persian Gulf in this hierarchy? How was this region perceived in Madrid? How was this perception expressed in the discussions and the specific policies developed for the region? These are the three questions that this article seeks to answer. In order to do so, it analyzes the conflict of Ormuz and examines how it was dealt with at the heart of the decision-making process, while seeking parallels with the way in which these same administrative centers regarded other Portuguese colonial territories that were also under threat. The territories chosen for comparison are those of Macao and Bahia. Like Ormuz, these territories were extremely important strongholds within the Portuguese Overseas Empire in the first quarter of the seventeenth century and were also crucial for the strategic objectives of the North European overseas powers during the period in which the conflict of Ormuz evolved. This article focuses on the decision-making process and the political discussions taking place in the centers of decision. This process was largely based on information that reached Madrid about imminent threats throughout the imperial world. Such threats frequently did not materialize, but this does not mean that they did not influence the policies adopted for the defense and administration of the different colonial territories. A brief reference should be made to the way in which this article is organized: it begins by demonstrating the different perceptions and interests that the Portuguese and the Castilians had in relation to Ormuz and the Persian Gulf. It then analyzes some of the tensions that resulted from the different perceptions that were formed of the region, namely those that characterized the episodes relating to the embassies of Don García da Silva y Figueroa and Rui Freire de Andrade,6 which involved aspects such as the management of the available resources and the articulation of the political process between the different poles of the empire. Finally, it analyzes the debate about possible Portuguese and Castilian military cooperation in the defense and recovery of Ormuz when compared to its successes in other regions of the empire. The Portuguese and the Castilians undoubtedly had different perceptions of the Persian Gulf, just as their interests were also different. While the Portuguese were focused on the structure of the Portuguese presence in Asia, the Castilians were focused on the Mediterranean. For the Portuguese, Ormuz was an important part of the Estado da Índia.7 It was a crucial cornerstone of the commercial system that had enriched the Portuguese treasury during much of the sixteenth century. It is possible that the prosperity of the Ormuzian customs house during the sixteenth and seventeenth centuries was exaggerated by contemporary observers or even by some historians, but, given the confluence here of the great riches of the most important Eurasian maritime and continental trade routes, the significance of its profits for the economic structure of the Estado da Índia was unquestionable. In the 1620s, the economic importance of Ormuz was still quite considerable, since it continued to play a central role in long-distance trade. Its connections with the other important ports in Eastern trade were quite considerable and the profits recorded at its customs house in 1610 and 1620 were indeed remarkable (Cunha, 1995: 118-120, 127, 129; Subrahmanyam, 1993: 222). It is also important to note that, in the second decade of the seventeenth century, when the Estado da Índia undertook a general sale of offices to generate money to cope with the multiple challenges and financial difficulties that it faced, the offices relating to Ormuz were still largely superior to all the other offices available, including those in Malacca, Goa or Diu. In 1614, for example, the office of captain of the fortress of Ormuz was sold to Dom Luís da Gama for 145,000 xerafins, whereas the same office at fortresses as important as Malacca, Goa or Diu was sold for 30,030, 10,500, and 53,000 xerafins respectively, which demonstrates that, by the second decade of the seventeenth century, when the situation of the Portuguese in the region was already being widely debated in Madrid, Ormuz was still considered one of the most important fortresses in the Estado da Índia. Despite the high values put forward by historians such as João Teles e Cunha and Sanjay Subrahmanyam, which are in line with the estimates of Vitorino Magalhães Godinho (Godinho, 1982: 44-50), the situation in Ormuz became more and more critical8. Several factors came together to increase the fears about its conservation and to raise doubts regarding its profitability. The fall in profits was due to the increased expenses associated with the fortress’s maintenance (such as military expenses, for example), the decrease in commercial traffic caused by the general instability in the region, the increased taxes imposed by the Portuguese authorities on non-Portuguese merchants, the increase in smuggling, and the repeatedly reprehensible and corrupt behavior of the captain of Ormuz and other authorities at the customs house and the fortress,9 as demonstrated by several assentos of the Conselho da Fazenda of the Estado da Índia, in Goa (Cunha, 1995: 117-148).10 Thus, while it is true that the gross revenue of the customs house of Ormuz did not decrease, its overall balance certainly did. However, whatever the true profits generated by Ormuz were, one cannot assess the fortress’s real importance without considering its symbolic value, for it was a crucial factor in the Portuguese perceptions of the region and also explained some of the tensions that arose between the Portuguese and the Castilians.11 Furthermore, this symbolic importance did not exist only in the collective Portuguese imagination. It was also present in that of the regional and Asian powers whose trade interests somehow intersected with those of Ormuz, as well as in the imagination of the other European overseas powers that vied with the Portuguese for control of the Asian region.12 For example, in 1622, when the fortress had already been lost, the governor of the Estado da Índia, Fernão de Albuquerque warned the court that Ormuz was so renowned in the world that everyone had their eyes on it.13 According to the arguments of the English, who advocated the conquest of Ormuz, it was believed that, if the enterprise was successful, the English India Company would be certain of conquering the “key to all India,” something which would place the English in a stronger position than the Dutch and even the Muslims.14 Indeed, throughout the first quarter of the seventeenth century, Ormuz still enjoyed a prominent place in the European vision of the East. To the Portuguese, it was a motive for collective pride and imperial symbolism, which were being questioned by the various dynamics of a crisis that was gradually closing in on the Portuguese position in the region. To the Habsburgs, regardless of the many legends that had earned the Ormuzian markets their famous reputation, Ormuz in itself did not seem to be especially relevant for the interests and politics of the monarchy. It was not because of Ormuz or the lively activity of its customs house that making an approach to Safavid Persia was of interest to Madrid. The interests of the Habsburgs in having contacts with Persia dated from long before this, and involved the Papacy and other European princes. Since they represented the most declared rival of the Ottoman Empire to the west of the Mediterranean, the possibility of an alliance with the greatest enemy of the Sublime Porte to the east of its frontiers was believed to be quite profitable to the Habsburg interests in the Mediterranean, not only because of its claims to enjoy a hegemonic political status, but also because of its mission as a representative and spreader of Catholicism. Through the union with Portugal, and by extending his power as far as the Persian Gulf, the Catholic king attained a highly advantageous position in the region, since he now enjoyed new opportunities for approaching Persia and for engaging in a joint action on two fronts against the Ottoman Empire (Bouza, 2005: 43; Costa and Rodrigues, 1992: 322-323). Thus, through successive diplomatic efforts, the Habsburg monarchs promised to channel their forces into the Mediterranean and to attack the Ottomans through the Levant, simultaneously agreeing to garner the support of the European Catholic princes, who were their allies in this undertaking.15 As for the Safavid monarch, he would attack his Ottoman rival across the borders of both kingdoms. The Castilian kings believed that this would be the necessary strategy to bring an end to the Ottoman threat in the Mediterranean or, at least, to weaken it. In the instructions that the Catholic king gave to the ambassador Don García da Silva y Figueroa, the Habsburg priorities were made very clear and Ormuz appeared almost as a collateral objective of the embassy’s true intentions.16 Indeed, if keeping the island under Portuguese control facilitated the Habsburg strategy in the Mediterranean region, its loss did not in any way jeopardize their making an approach to Persia, nor was it a direct threat to any Castilian colonial territory. Ormuz was not considered fundamental. Nonetheless, in this first quarter of the seventeenth century, for the Portuguese, the obligation of using the Estado da Índia’s scarce military resources in a war that was not their own did not seem a priority and it was not at all an appealing exercise. Despite the ideological opposition in matters of religion and after the Ottoman Empire’s presumably expansionist movement towards the Indian Ocean, which had marked the relations between the two powers throughout the sixteenth century, the relations between the Portuguese and the Ottomans during the first two decades of the seventeenth century had remained neutral, if not actually positive. The joint undertaking, if carried out, would concentrate the Portuguese forces in the Persian Gulf, demanding their exclusive attention, when they were, in fact, needed everywhere in the Estado da Índia (Cunha 1995: 43). Hence, as far as the Persian Gulf was concerned, there was a clear divergence between the priorities of the Portuguese and the priorities of the Castilians. While the attention of the former was directed towards the Indian Ocean and Asia, with Ormuz, because of its political and economic value, being crucial to the maintenance of the Estado da Índia; the Castilian interests were clearly concentrated in the Mediterranean region, and Ormuz was important only in the sense that it facilitated an approach to Persia, which was, in turn, fundamental to the balance of power in the Mediterranean. This divergence of interests and the different perceptions that they caused about regional circumstances were to be expressed in the policies adopted by the Habsburgs in the region and in the reactions of the Portuguese towards these same strategies. A reaction that was often negative. The growing instability in the region meant that the priorities and interests of both Portuguese and Castilians needed to be contemplated in the policies adopted by Madrid, but not without some considerable tensions. We could say that these tensions were related to two aspects that were, to a certain extent, contradictory. Tensions arose when, on the one hand, there was greater interference by Madrid in matters that the Portuguese considered should be their sole responsibility as far as the administration of their empire was concerned; and, on the other hand, when the Portuguese did not receive from Castile the desired response to the multiple and continuous appeals and cries for help issuing from the Estado da Índia. When Filipe III and his Consejo de Estado decided to send a Castilian nobleman as an ambassador to Persia, partly because Shah Abbas I, the ruler of Persia, did not want any more friars representing the Habsburgs at his court,19 the Portuguese reaction (in Madrid, Lisbon, and also Goa) was naturally extremely negative, causing reverberations throughout Don García’s mission. The initial intention of the Consejo de Estado was that this embassy should perform better than the previous one headed by Portuguese friars such as Dom António de Gouveia or Luís Pereira de Lacerda, in displaying the Habsburg power, and that the costs of the embassy would be shared by Castile and Portugal. Castile would pay the costs of the journey until Lisbon; and Portugal would pay the expenses of transporting the embassy from Lisbon to Goa. The Conselho de Portugal, however, refused to pay these expenses and even questioned the convenience of the embassy. The reason invoked by the Portuguese was the difficult financial situation in both Lisbon and India, but, regardless of the veracity of such complaints, the true motive for the Conselho de Portugal’s refusal was undoubtedly the Castilian origins of the ambassador. The Consejo de Estado, in turn, seemed determined to send the embassy. It now proposed paying for all the initial costs and ordering the viceroy of India, Dom Jerónimo de Azevedo, to provide Don García with all that was necessary after his arrival in Goa. However, as if already foreseeing the unwelcome reception that the Castilian diplomat would receive in Goa, where the viceroy did everything he could to hinder his mission, Dom Cristóvão de Moura suggested, at a meeting of the Consejo de Estado on October 27, 1613, that the envoy should take with him a secret credit, a proposal that was supported by the other members of the Consejo de Estado. Don García should keep this credit secret so that the Conselho de Portugal would not suspect that it existed, and he should only resort to it in the event of extreme necessity, if the viceroy of India refused to comply with the payment instructions received from Madrid (Gil Fernández, 2009: 253-255). Madrid’s diligent financial sponsorship of Don García’s embassy is even more revealing if we consider the contribution that the Consejo de Estado proposed to make to the efforts of recovering Ormuz after its capture by Anglo-Persian forces. Acknowledging the need to recover Ormuz, the council suggested that the treasury of Portugal should provide everything that it possibly could, and that there was no reason for Castile to contribute anything more than the remainder.24 The difference in the amounts that the Consejo de Estado was prepared to contribute towards each of these two enterprises is more than evident. Don García’s embassy was also hampered by the difficulty of harmonizing the decision-making processes throughout the empire. Indeed, despite the many orders sent from Madrid to Goa demanding that Dom Jerónimo de Azevedo should provide money to Don García, the viceroy of India ignored these as much as he could. Orders from the kingdom would arrive in India, where they often fell on deaf ears. Dom Jerónimo de Azevedo, like other viceroys, governors and authorities in the Estado da Índia, often managed its finances according to his own interests, or at least according to the interests and issues that he considered most urgent. The viceroy, it would seem, reserved for Don García only a small part of what had been promised to the ambassador before he left the Habsburg court. The king’s decision was limited by the relative freedom and autonomy enjoyed by the viceroy while exercising his power.25 Undoubtedly, the difficulty of articulating royal decisions with the habits and modus operandi of the local authorities had always been a feature of the Estado da Índia’sway of working, and it tended to restrict the scope of metropolitan policies. On the other hand, it was not infrequent for the decisions taken by the central political bodies to be far removed from the geopolitical realities of the various territories of the Estado da Índia. In spite of the circulation of information and the assiduous exchange of correspondence between the Estado da Índia and the metropolis, it is possible that the reality of life in Ormuz and the Persian Gulf was not fully known and understood in the main metropolitan decision-making centers. The Iberian Union and the consequent imposition of Madrid as the center of political decision-making made the process even more complex. In a situation of imminent conflict, building a fortress in the enemy’s territory, which in itself was a provocative expression of warlike aggression, could only result in retaliation. It must therefore be asked: was Madrid so completely alienated from the regional reality that it did not foresee the consequences of attempting to establish a fortress on Qishm? It would seem so. There does appear to have been a certain lack of awareness on the part of the Castilian decision-making bodies that normally advised the king (namely the Consejo de Estado) about what was at stake in the Persian Gulf and about the way in which the regional balance of power was generally maintained (Couto and Loureiro, 2007: 99). There were certainly many factors contributing to this lack of awareness, such as the distance involved, the difficulty and slowness of communications between the empire’s various political centers, and the lack of contact that the ministers at the courts of Madrid and Portugal had with the concrete reality of the different overseas territories (many of them had never actually stepped very far from the court itself), but also, undeniably, the relationship of mutual distrust between the Portuguese and the Castilians within the framework of the union of their two crowns. Such distrust seems to have played an important role in the Consejo de Estado’s difficulty in apprehending the true circumstances of the relationship between the Portuguese and the Persians in the region. It cannot be denied that, during the first two decades of the seventeenth century, news about the region arrived at the court in great abundance, through diverse channels and in a variety of forms. However, some of the members of the Consejo de Estado were wary about the truthfulness of the news that told of the opening of hostilities by the Shah. In a report produced by the Consejo de Estado about the news that had been provided by the Conselho de Portugal, and which discussed the obstacles faced by Don García throughout his embassy, Don Agustín Messía raised the possibility that the information was not in fact true.30 At the same time, the governing elites of the Estado da Índia were aware of the mistrust expressed by the court’s ministers. In a letter that he wrote to Fernão de Albuquerque, Dom Frei Cristóvão de Lisboa, the Archbishop of Goa between 1612 and 1622, criticized the endeavors of Rui Freire de Andrade and underlined how unnecessary it was to build a fortress in Qishm, a move that, in his opinion, would always be more harmful than beneficial. In the same letter, the Archbishop revealed how displeased he was with the lack of confidence demonstrated by the king towards the authorities of the Estado da Índia, which contrasted with the overconfidence that he seemed to place in his advisers at the court.31 This mutual distrust was but one of the many obstacles faced by Ormuz in the efforts to ensure its defense. This was, in fact, a difficult time for the Portuguese overseas territories as a whole. During the first quarter of the seventeenth century, the Portuguese Empire faced several challenges, both in terms of guaranteeing sufficient resources and ensuring its own defense. The English alliance with the Shah was paralleled by the growing threat from the Dutch both in the Far East and in the Atlantic. In view of these multiple challenges, the notion of Luso-Castilian military cooperation overseas gradually grew in strength. The idea of bringing subjects of both crowns together to form a common military force was not new, and there were already precedents in the episodes of the Great Armada, and the dispatch of Portuguese troops to Flanders. Nonetheless, this cooperation was seen as the possible solution to a long-standing problem faced by the Portuguese Overseas Empire: the scarcity of resources dictated the fate of the empire. The financial and logistical constraints were greatly aggravated by the growing competition from North European countries overseas, which was a problem that not even the sponsorship of the Hispanic Monarchy could completely resolve, since its own resources were also being absorbed by the multiple tensions and conflicts that it faced in the Iberian Peninsula, in Europe, and overseas. This is not to say, however, that it was impossible ever to implement a project of Iberian military cooperation overseas. It was not. Such an endeavor depended on the interests and priorities of the Hispanic monarchy. This is very clear when we look at other conflicts that occurred in the Portuguese Empire during the same period, and which offer a glimpse of how the different Portuguese overseas territories were integrated into the global politics of the Habsburgs. This assumption has to be seen within the context of the historiographical understanding of the Iberian Union’s effects on the evolution of the Portuguese Overseas Empire. For a long time, it was believed that the administration of each of the Portuguese overseas territories remained unaffected by their integration into the Hispanic Monarchy. Such a view may have been formed because historians have tended to place their faith in the thesis of negligence, according to which the Portuguese colonial territories did not mean much to the Habsburgs in political terms, or it may have been because they believed that the privileges of autonomy were actually fully enjoyed throughout this period, which would mean that the Portuguese alone decided on the policies affecting their empire, separately from Madrid. Although recent historiography has gradually begun to question these two premises, there are still only a few studies that consider the global dynamics of the integration of the Portuguese Empire into the Hispanic Monarchy. The global dynamics of this integration partly explains the failure to put together an Iberian fleet to bring relief to Ormuz, while also explaining the success of this initiative in other parts of the empire, such as Macao or Bahia. Unlike what was long defended, the global stability of the Portuguese Empire became a very important issue for the monarchy’s overall strategy. However, the various Portuguese colonial territories did not have the same importance individually for the policies developed by Madrid. There were some territories that were more central to Habsburg politics, and others that were more peripheral. Each of the Portuguese colonial territories had its own relative position in Castile’s hierarchy of priorities, depending on its political and economic importance for the monarchy. Such a position could be influenced by the fact that they were geographically closer to the Castilian territories, and thus more important for their military defense or support, or it may have been influenced by the fact that they were essentially more profitable to the economy of the empire, and thus more important for the equilibrium of the monarchy, in the sense that these profits served to prevent Portugal and its many overseas difficulties from absorbing the monarchy’s scarce resources. In other cases, it may have been because they were strategically located in regions where it was necessary to restrain the advances of the English, and especially the Dutch. The Portuguese, nonetheless, did not always perceive this central/peripheral “categorization” in the same way. In many ways, the different perceptions of some of the Portuguese overseas territories eventually limited the autonomy that the Portuguese enjoyed in the management of their overseas affairs. In 1624, a powerful Dutch fleet attacked Salvador da Bahia, the capital of Brazil, capturing the city from the Portuguese. When the news of the fall of Bahia reached Madrid, a fleet composed of Castilian and Portuguese ships was immediately put together and sent to Brazil. The number of Castilian ships was even greater than the number of Portuguese ships. Nearly one year later, Salvador da Bahia was recovered in what came to be known as the successful expedition of the “Voyage of the Vassals.”37 When the ministers of the Consejo de Estado and the Conselho de Portugal met in Madrid to decide what form of relief should be sent to Bahia, they agreed that the enterprise did not exclusively concern the crown of Portugal. For the court’s ministers, it was clear that the Dutch presence in Brazil would allow them to “infest” the Rio de la Plata, Buenos Aires, and even Peru, not only with “arms”, but also with “trade”. It was also feared that the Dutch advances into Brazil would, on the one hand, make it even harder to hinder illegal trade between the Castilians and the Dutch, and, on the other hand, that they would also ease their navigation through the Strait of Magellan.38 This “magnificent example of imperial association” (Kamen, 2003: 372) mirrored the full potential of the union of Castilian and Portuguese military resources in the colonial world (Schwartz, 2008: 210). For this reason, the Count-Duke of Olivares used it as the model for his project for the “union of arms” (Brown and Elliott, 1980: 170-171; Schwartz, 1991: 736-737; and Oliveira, 2005: 274). What is the explanation for the success of Portuguese and Castilian military cooperation in the relief of Macao and the recovery of Bahia, and yet its failure in Ormuz? First of all, it cannot be denied that geographical proximity played an important part. It was considerably easier to relieve Macao or Bahia with the aid of Castilian resources, than to use them to relieve Ormuz. The proximity of Macao to the Philippines made the sending of Castilian support from Manila possible. The opposite was also expected, as the Habsburg monarchs repeatedly reminded the authorities of Macao.39 As for Bahia, although the remarkable celerity of the endeavor cannot be denied, this territory was located on the other side of the Atlantic Ocean and was able to count on the prompt support of the Atlantic forces of the Habsburgs. The commander of the fleet, Don Fadrique de Toledo, was the Commander-in-Chief of the Castilian Armada do Mar Oceano. Furthermore, the crossing of the Atlantic Ocean did not require the same amount of time or pose the same dangers as the rounding of the Cape of Good Hope and the crossing of the Indian Ocean. Secondly, in political terms, both Macao and Bahia complemented the Castilian imperial territories.40 This was a crucial aspect, in the sense that, while such complementarity helped to reinforce the integrity of the Castilian colonial territories, it also had the ability to weaken them. The challenges faced by the Portuguese Overseas Empire were many and varied and Madrid had to prevent them from spreading to the Castilian domains. The loss of Macao would seriously endanger the Castilian territories in the Philippines.41 Through Macao and the Philippines both the Portuguese and the Castilians, respectively, were able to participate in the profitable regional trade.42 The Castilians were even able to link this system to their American trade,43 since the Chinese went to Manila to exchange silk for American silver. Furthermore, the Portuguese fortress of Malacca, in Southeast Asia, was also under permanent threat, and its loss would jeopardize the Castilian position in the Moluccas, the so-called Spice Islands. Hence, Macao and Malacca were crucial for the political strategy of Madrid insofar as it was believed that their defense would not only prevent the Dutch from taking full possession of the Moluccas, but also from gaining control of the southern seas, from seizing all the privileges that resulted from their mediating role in the trade between China and Japan, and from acquiring an easy route of access to New Spain, and thus also threatening Spanish America via the Pacific Ocean. The third aspect that determined the greater or lesser commitment towards resolving the challenges faced by the Portuguese Empire was the origin of the competition. In Macao or Bahia, the threat was Dutch; while in Ormuz, the threat came from the English. With the end of the Twelve Year Truce, the war for Dutch Independence was again being fought in Europe. The Dutch were again at the center of Madrid’s political strategy and their attacks on the Iberian overseas territories were considerably more efficient, and also more threatening to the whole stability of the monarchy. As for the English, the first quarter of the seventeenth century was a period of peace between Madrid and London (particularly after the Treaty of London, 1604). While the Portuguese sought to maintain control over Ormuz and to repel the Anglo-Persian threat in the Persian Gulf, in Europe, Castile and England negotiated a matrimonial alliance between the Infanta María Ana, the daughter of Filipe III and the sister of Filipe IV, and Charles, the son of King James I, and the Crown Prince of England. In the course of these negotiations, several aspects of the Anglo-Castilian relations in Europe and in the overseas world were discussed in Madrid, particularly the peace between the two powers, their military alliance against the Dutch overseas, and, among other things, the question of Ormuz. This article has sought to demonstrate that the conflict of Ormuz cannot be understood exclusively as being just part of the general decline of the Portuguese presence in Asia in the early seventeenth century. The conflict was the result of the changing global dynamics that were closely related with the incorporation of Portugal and its empire into the Hispanic monarchy. With the union of the two Iberian empires, the decision-making process of the Portuguese overseas territories became highly dependent on the geopolitical perceptions, interests and priorities of Madrid. A key aspect dictating the way that the Habsburgs dealt with the different Portuguese colonial territories was their complementarity with the Castilian colonial territories, not only geographically, but also politically and economically. The Portuguese imperial structure as a whole was, indeed, fundamental to the global stability and integrity of the Hispanic monarchy, but there were some territories that were more important than others. In comparison with Ormuz, territories such as Macao or Bahia displayed strengths that were more important to Madrid or, at least, to the Castilian territories in the Philippines, the Atlantic or the Americas. In the same way, their weaknesses were more threatening. The perception of this importance was reflected in concrete political measures, such as, for example, the use of logistical and financial resources or the response adopted to the defensive needs of each territory. This does not mean, however, that the Persian Gulf region was not important for the global equilibrium of the Habsburg monarchy. Good relations with Safavid Persia were perceived as necessary to the balance of power in the Mediterranean, but they were possible even without Ormuz. This partly explains why the Habsburg efforts in the defense of the region were essentially diplomatic and why, after the loss of Ormuz, they did not result in the formation of a fleet composed of Portuguese and Castilian vessels, as was so greatly desired by the Portuguese in the Estado da Índia. Furthermore, the different perceptions of Ormuz, its importance, and how it should be maintained and defended, led to several tensions between the Portuguese actors and institutions involved in the administration of the empire in Goa, Lisbon or Madrid, and the Castilian institutions and individuals who governed this incorporated empire. It was not that Ormuz, in itself, was not considered valuable either politically or economically. Despite the various expenses associated with its defense and the effects of the conflict itself in the early seventeenth century, both economically and symbolically, Ormuz was still one of the most important fortresses and customs houses of the Portuguese Empire, not only in Asia, but also in the Atlantic, since we must not forget that in the collective Portuguese imagination of the early seventeenth century, and notwithstanding their remarkable growth, the Portuguese overseas extensions in the Atlantic region had not yet achieved the same splendor and glory as their Asian counterparts. The loss of Ormuz was one of the most controversial events that occurred during the period of union of the Portuguese and Castilian crowns. However, rather than trying to identify the Habsburgs as the ones to blame for such a dramatic event, as the rhetorical discourse of Restauração or the nationalist historiography of the nineteenth and early twentieth centuries did, for example, it is pertinent to scrutinize and fully understand the global context in which the conflict took place. With the union of the Portuguese and Castilian Empires, there was a change in perceptions, interests and priorities, with both positive and negative effects in all of the Portuguese overseas territories, in general, and in Ormuz and the Persian Gulf, in particular. DUP: Documentação Ultramarina Portuguesa (Rego 1960-1962, Volume II). Craesbeeck, Pedro (1940). Comentários do grande capitão Rui Freire de Andrade. Introduction by José Gervásio Leite. Lisbon: Agência Geral das Colónias (1st ed. 1647). Foster, William (1906-1909). The English Factories in India, 3 Vols. Oxford: Clarendon Press. Gil Fernández, Luis (1989). García de Silva y Figueroa, Epistolario diplomático, Edición y estudios preliminares. Cáceres: Institución Cultural “El Brocense”. Luz, Francisco Paulo Mendes da (ed. 1952). Livro das Cidades, e Fortalezas que a Coroa de Portugal tem nas partes da Índia, e das Capitanias, e mais cargos, que nelas há, e da importância deles. Coimbra: Tipografia Oficial da Coimbra Editora. Monnox, Edward (1621-1622). “História Geral da Tomada da Fortaleza de Ormuz”. In Paulo Craesbeeck (ed. 1647), Comentários do Grande Capitão Rui Freire de Andrade. Introduction by José Gervásio Leite (ed. 1940), Lisbon: Agência Geral das Colónias. Pissurlencar, Panduronga S.S. (1953). Assentos do Conselho de Estado, Vol. I (1618-1633). Bastorá (Goa): Tipografia Rangel. Rego, António da Silva (ed. 1962). Documentação Ultramarina Portuguesa, Volume II. Lisbon: Centro de Estudos Históricos Ultramarinos. Salvado, João Paulo and Miranda, Susana Münch (ed. 2001). Livro 1º do Governo do Brasil (1607-1633). Lisbon: CNCDP. Silva y Figueroa, Don García (1614-1619). Don García de Silva y Figueroa e os “Comentarios” da embaixada à Pérsia (1614-1624). Edited by Rui Manuel Loureiro, Ana Cristina Costa Gomes and Vasco Resende (ed. 2011), Vol. 1 and 2. Lisbon: CHAM. Aubin, Jean (2000). “Le Royaume d’Ormuz au début du XVIe siècle”. In Jean Aubin, Le Latin et L’Astrolabe: recherches sur le Portugal de la Renaissance, son expansion en Asie et les relations internationales, Vol. II. Lisbon and Paris, Centre Culturel Calouste Gulbenkian and Commission Nationale pour les Commémorations des Découvertes Portugaises, 287-377. Borges, Graça Almeida (2009). Um Estreito Globalizado: A luta por Ormuz (1622) e a globalização das relações internacionais no período moderno. Anais de História de Além-Mar, Vol. X: 309-359. Bouza, Fernando (2005). D. Filipe I. Colecção Reis de Portugal. Rio de Mouro: Círculo de Leitores. Boxer, Charles R. (1935). “Anglo-Portuguese Rivalry in the Persian Gulf: 1615-1635”. In Edgar Prestage, Chapters in Anglo-Portuguese Relations. Watford: Voss and Michael, 46 - 129. Boxer, Charles R. (1991). Estudos para a História de Macau: séculos XVI a XVIII, 1º Tomo. Lisbon: Fundação Oriente. Boxer, Charles R. (1957). The Dutch in Brazil: 1624-1654. Oxford: Clarendon Press. Boyajian, James C. (1993). Portuguese Trade in Asia under the Habsburgs, 1580-1640. Baltimore: Johns Hopkins University Press. Brown, Jonathan and Elliott, John (1980). A Palace for a King: The Buen Retiro and the Court of Philip IV. New Haven and London: Yale University Press. Cabral de Mello, Evaldo (org. 2010). O Brasil Holandês (1630-1654). São Paulo: Penguin Classics. Cardim, Pedro (2004). O Governo e Administração do Brasil sob os Habsburgo e os primeiros Bragança. Hispania, LXIV/1, nº 216: 117-156. Cordeiro, Luciano (1896). Batalhas da Índia: Como se perdeu Ormuz. Processo inédito do século XVII. Lisbon: Imprensa Nacional. Costa, João Paulo Oliveira e and Rodrigues, Victor Luís Gaspar (1992). Portugal y Oriente: El Proyecto Indiano del Rey Juan. Madrid: Editorial MAPFRE. Costa, Leonor Freire (2002). Impérios e Grupos Mercantis: Entre o Oriente e o Atlântico (século XVII). Lisbon: Livros Horizonte. Couto, Dejanirah and Loureiro, Rui Manuel (2007). Ormuz: 1507 e 1622. Conquista e Perda. Lisbon: Tribuna da História. Cunha, João Manuel de Almeida Teles e (1995). Economia de um Império: economia política do Estado da Índia em torno do Mar Arábico e do Golfo Pérsico (elementos conjunturais, 1595 - 1635), 2 Vols., Master’s Degree Dissertation. Lisbon: Faculdade de Ciências Sociais e Humanas, Universidade Nova de Lisboa. Emmer, Piet C. (2001). “The Dutch Atlantic, 1600-1800: Expansion Without Empire”. In Jahrbuch für Geschichte Lateinamerikas, 38. Köln, Weimar and Wien: Böhlau Verlag, 31-48. Emmer, Peter C. (2003). The First Global War: The Dutch versus Iberia in Asia, Africa and the New World, 1590-1609. 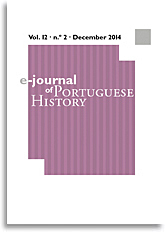 E-Journal of Portuguese History, Vol. 1, number 1, Summer: 1-14. Floor, Willem (1996). “The Dutch and the Persian Silk Trade”. In Charles Melville (ed. ), Safavid Persia. London and New York: I. B. Tauris and Centre of Middle Eastern Studies/University of Cambridge, 323-368. Floor, Willem (2006). The Persian Gulf: A Political and Economic History of Five Port Cities, 1500-1730. Washington D.C.: Mage Publishers. Flynn, Dennis O. and Giráldez, Arturo (2002). Cycles of Silver: Globalization as historical process. World Economics, Vol. 3, No. 2, April-June, 1-16. Flynn, Dennis O. and Giráldez, Arturo (1996). Silk for Silver: Manila-Macao Trade in the 17th century. Philippine Studies, Vol. 44, No. 1, 52-68. García Hernán, Enrique (2010). Persia en la acción conjunta del Papado y la Monarquía Hispánica. Aproximación a la actuación de la Compañía de Jesús (1549-1649). Hispania Sacra, LXII, 125, January-June: 213-241. Gil, Luis (2011). “Biografia de don García de Silva y Figueroa”. In Rui Manuel Loureiro and Vasco Resende (coord. ), Estudos sobre Don García de Silva y Figueroa e os “Comentarios” da embaixada à Pérsia (1614-1624), Volume 4. Lisbon: Centro de História de Além-Mar, 3-59. Gil Fernández, Luis (2009). El Imperio Luso-Español y la Persia Safávida, Tomo II: 1606-1622. Madrid: Fundación Universitaria Española. Godinho, Vitorino Magalhães (1982). Les Finances de l’État Portugais des Indes Orientales (1517-1635): Matériaux pour une étude structurale et conjoncturelle. Paris: Centro Cultural Português. Herzig, Edmund M. (1985). Ormuz: ‘Ville Sans Antecedents, de Durée Circonscrite’ (AUBIN). Bulletin of the British Society for Middle Eastern Studies, Vol. 12, Nº 1: 3-11. Kamen, Henry (2003). Imperio: la forja de España como potencia mundial. Madrid: Aguilar. Lobato, Manuel (2013). “As Filipinas e o Estado da Índia no tempo dos Áustrias. Tensão, convergência e acomodação entre os impérios ibéricos na Ásia do Sueste”. In Pedro Cardim, Leonor Freire Costa and Mafalda Soares da Cunha (eds. ), Portugal na Monarquia Hispânica: Dinâmicas de Integração e Conflito. Lisbon: CHAM/FCSH-UNL/UAç, CIDEHUS/UE, GHES/UTL, Red Columnaria, 277-308. Lockhart, Laurence (1986). “European Contacts with Persia, 1350-1736”. In Peter Jackson and Laurence Lockhart (eds. ), The Cambridge History of Iran. Volume 6: The Timurid and Safavid Periods. Cambridge, New York and Melbourne: Cambridge University Press, 373-411. Loureiro, Rui Manuel and Resende, Vasco (coord. 2011a). Estudos sobre Don García de Silva y Figueroa e os “Comentarios” da embaixada à Pérsia (1614-1624). Volume 4. Lisbon: Centro de História de Além-Mar. Marques, Guida (2011). “As ressonâncias da restauração da Bahia (1625) e a inserção da América Portuguesa na União Ibérica”. In Santiago Martínez Hernández (dir. ), Governo, Política e Representações do Poder no Portugal Habsburgo e nos seus Territórios Ultramarinos (1581-1640). Lisbon: CHAM, 121-146. Marques, Guida (2009). L’Invention du Brésil entre Deux Monarchies. Gouvernement et pratiques politiques de l’Amérique portugaise dans l’union ibérique (1580-1640), PhD Thesis. Paris: École des Hautes Études en Sciences Sociales. Matthee, Rudolph P. (1999). The Politics of Trade in Safavid Iran: Silk for Silver, 1600-1730. Cambridge: Cambridge University Press. Oliveira, António de (2005). D. Filipe III. Colecção Reis de Portugal. Rio de Mouro: Círculo de Leitores. Ollé, Manel (2013). “Portugueses y castellanos en Asia Oriental”. In Pedro Cardim, Leonor Freire Costa and Mafalda Soares da Cunha (eds. ), Portugal na Monarquia Hispânica: Dinâmicas de Integração e Conflito. Lisbon: CHAM/FCSH-UNL/UAç, CIDEHUS/UE, GHES/UTL, Red Columnaria, 253-275. Pearson, Michael N. (2008). The Indian Ocean. London and New York: Routledge. Ribeiro da Silva, Filipa (2011). Dutch and Portuguese in Western Africa: Empires, Merchants and the Atlantic System, 1580-1674. Leiden and Boston: Brill. Schaub, Jean-Frédéric (2001). Portugal na Monarquia Hispânica (1580-1640). Lisbon: Livros Horizonte. Schwartz, Stuart B. (2008). Prata, açúcar e escravos: de como o império restaurou Portugal. Tempo, Vol. 12, No. 24, 201-223. Schwartz, Stuart B. (1991). The Voyage of the Vassals: Royal Power, Noble Obligations, and Merchant Capital before the Portuguese Restoration of Independence, 1624-1640. The American Historical Review, Vol. 96, No. 3, June: 735-762. Studnicki-Gizbert, Daviken (2007). A nation upon the ocean sea: Portugal’s Atlantic diaspora and the crisis of the Spanish Empire, 1492-1640. Oxford and New York: Oxford University Press. Subrahmanyam, Sanjay (2007). Holding the World in Balance: The Connected Histories of the Iberian Overseas Empires, 1500-1640. American Historical Review, December: 1359-1385. Subrahmanyam, Sanjay (1993). O Império Asiático Português, 1500-1700: uma história política e económica. Linda-a-Velha: DIFEL. Valladares, Rafael (2001). Castilla y Portugal en Asia (1580-1680): Declive Imperial y Adaptación. Leuven: Leuven University Press. 1 PhD, European University Institute. E-mail: [email protected]. This article was written under the scope of a project funded by Fundação para a Ciência e Tecnologia (SFRH/ BD/ 47944/ 2008). Part of the research was carried out in the Historical Archives of Goa (India) with a research grant generously provided by Fundação Oriente. I am very grateful to Professor Jorge Flores, my supervisor at the European University Institute, to Professor José Vicente Serrão (Center for Studies in Modern and Contemporary History, ISCTE- University Institute of Lisbon), Professor Mafalda Soares da Cunha (CIDEHUS, University of Évora) and Professor Bartolomé Yun Casalilla (Universidad Pablo de Olavide, Seville) for having read this article beforehand and for having provided me with the most useful comments and suggestions. I am also very grateful to Professor Rui Loureiro (CHAM, New University of Lisbon), for his precious help in providing me with the most useful bibliography and documentation. 2 There are some authors who, exceptionally, followed the early works of Alice Canabrava, Charles Boxer, and Stuart B. Schwartz. 3 Episodes such as the ambiguous involvement of the Sherley brothers, Anthony and Robert, the role of religious envoys such as Frei António de Gouveia or Frei Belchior dos Anjos, and the complex negotiations of the Persian silk trade, are also crucial for understanding this problematics (see Borges, 2009). 4 Consider the exceptions of Subrahmanyam (1993 and 2007), Boyajian (1993), Valladares (2001), and Costa (2002). Because of all their interactions with Manila, the Portuguese territories in the Far East developed a different dynamics from the Portuguese territories in the Indian Ocean and the Arabian Sea, so that they have tended to receive greater attention from historians such as, for instance, João Paulo Oliveira e Costa, Manel Ollé, and Manuel Lobato, to give just a few examples. 5 This is not to say that there was not an inter-imperial complementarity both before and after the union of the Portuguese and Castilian crowns. However, viewed from the standpoint of the European balance of power at the end of the 16th century, by integrating Portugal and its empire into his already extensive realm, Filipe II was explicitly reinforcing the power of the monarchy and the integrity of his empire in all of its geographic extensions. See Bouza (2005: 39-51). 6 Episodes such as the ambiguous involvement of the Sherley brothers, Anthony and Robert, the role of religious envoys such as Frei António de Gouveia or Frei Belchior dos Anjos, and the complex negotiations of the Persian silk trade, are also crucial for understanding this problematics (see Borges, 2009). 7 The political and economic importance of Ormuz in the 16th and early 17th century has been discussed by Borges (2009). One of the most important contributions regarding the kingdom of Ormuz still remains the article by Jean Aubin, who, among other aspects, has analyzed its relationship with Safavid Persia (Aubin, 2000). Excellent overviews of the political and economic relations between Safavid Persia and the Persian Gulf have been provided by Rudi Matthee (1999) and Willem Floor (2006). 8 See the Letter from Matheo Duarte to the Duke of Villahermosa, Goa, in ANTT, SV, Caixa 19, fol. 76A. 9 As James Boyajian has demonstrated, the lively commercial activity of Ormuz enriched the casado merchants who orchestrated this trade, and the local authorities that frequently disregarded royal instructions (Boyajian 1993: 59-61). 10 In the Historical Archives of Goa, which I visited with the generous support of Fundação Oriente, I had the opportunity to find several documents that demonstrated the dubious behavior of the Portuguese authorities in Ormuz. There was a set of manuscripts recording the meetings of the Conselho da Fazenda de Goa that was of particular interest for the study of these dynamics. See HAG, Cód. 1159. 11 The “imperial symbolism” of Ormuz was a crucial part of the discourse of the separation movement of 1640, the Restauração, which blamed the Habsburg government for the loss of the fortress. 12 Assento do Conselho de Estado, Goa, March 8, 1622, in Assentos do Conselho de Estado, Vol. I, Doc. 35, pp. 130-132. See also Herzig 1985: 6. 13 Letter from Fernão de Albuquerque, Governor of India, to the king, Goa, March 31, 1622, in ANTT, SV, Caixa 19, fol. 100. See also the report Razões que ocorrem na perda de Ormuz que obrigam a que se intente cobrar-se, e as que confirmam o contrário, in ANTT, ML, Livro 1116, Doc. 48, fol. 544. 14 Letter from President Fursland and the Council in Batavia to the East India Company, August 27, 1622, in Foster (1908: 116-118). Despite the importance of the fortress, acknowledged by the English when they decided to help the Persians to conquer Ormuz, historians such as Edmund Herzig, Willem Floor and Michael Pearson have already demonstrated that the English did not achieve much by helping Shah Abbas. Relations between the Shah and the English (as much as with any other hypothetical European partner) were full of ambiguities and tensions. According to Edward Monnox’s report, the Shah forced the English into the alliance by threatening to confiscate their goods in Persia. Furthermore, after the profitable years of 1620-1623, the Persian silk trade proved to be less profitable than the English had believed when they agreed to the alliance, since the Shah’s conditions were not very beneficial to them. This trade was even suspended in 1622. Furthermore, the English were also fooled by the promises of the division of all the profits from the Ormuz customs house, since, after the conquest, Shah Abbas transferred all of its commercial activity to the port of Bandar Abbas, in the Persian interior. See Edward Monnox’s História Geral da Tomada da Fortaleza de Ormuz, in Craesbeeck (1940: 323-362); Herzig (1985); Floor (1996); Matthee (1999); and Pearson (2008). 15 This was also a strategy that had been followed by the Portuguese right from the very first moment that they set foot on the island at the beginning of the 16th century, as the studies by Jean Aubin and Dejanirah Couto have demonstrated. In time, this became more of a rhetorical discourse and a strategy pursued in order to covet the Shah’s goodwill towards the Portuguese presence in Ormuz and the Persian Gulf. 16 Royal instructions from Filipe III to the ambassador Don García de Silva y Figueroa, San Lorenzo, August 9, 1613, in ED, Doc. 14, pp. 183-185. See also Gil Fernández (2009: 260-267). 17 We do not know much about the Junta da Pérsia, and the little that it is known results from some fairly scattered documentation. See, for example, AGS, Secretarías Provinciales, Lg. 1467. Luis Gil Fernández gathered together some documents referring to the Junta da Pérsia in his Epistolario Diplomático – see, for instance, Documents 70, 75, 76, 77, and 78. 18 For a biographical synthesis of the life of Don García de Silva y Figueroa, see Gil (2011: 3-59). For more information about the embassy of Don García, besides the earlier works of Carlos Alonso and Luis Gil Fernández, see the more recent studies by Gil Fernández (2009: 241-358), and Loureiro and Resende (2011a). The Castilian nobleman also wrote an extensive report of his journey and his mission in Persia, Comentários de Don García de Silva y Figueroa. See also the recent edition by Loureiro, Gomes and Resende (2011b). 19 See Relación de la consulta inclusa de la Junta que trata de las cosas de Persia, March and April 1620, in ED, Doc. 77, pp. 281-282. See also Lockhart (1986: 392). 20 Report to the Consejo de Estado summarizing the letters exchanged between Don García de Silva y Figueroa and Frei Belchior dos Anjos, November-December 1616, in ED, Doc. 59, pp. 262-264. 21 Letter from Don García de Silva y Figueroa to Juan de Ciriza, Goa, December 24, 1616, in ED, Doc. 38, p. 245; Parecer of the Consejo de Estado delivered to the king, April 27, 1616, in ED, Doc. 50, pp. 255-256; Report to the Consejo de Estado about two consultas received from the Conselho de Portugal, October-November 1616, in ED, Doc. 57, pp. 260-261; Parecer of the Consejo de Estado delivered to the king, December 16, 1617, in ED, Doc. 67, p. 274; and Parecer of the Consejo de Estado delivered to the king, August 30, 1618, in ED, Doc. 69, pp. 275-276. 22 Letter from Don García de Silva y Figueroa to Dom Jerónimo de Azevedo, Goa, October 28, 1616, in ED, Doc. 33, pp. 233-234; and Letter from Dom Jerónimo de Azevedo to Don García de Silva y Figueroa, November 1, 1616, in ED, Doc. 35, p. 236. 23 Parecer of the Consejo de Estado delivered to the king, July 25, 1617, in ED, Doc. 62, pp. 270-271. 24 Parecer of the Marquis de Aytona expressed in the consulta of the Consejo de Estado, Madrid, January 5, 1623, AGS, Lg. 2645. 25 Letter from the viceroy of India, Dom Jerónimo de Azevedo, to Don García de Silva y Figueroa, Goa, November 1, 1616, in ED, Doc. 35, p. 236; letter from Don García de Silva y Figueroa to the viceroy of India, Dom Jerónimo de Azevedo, Goa, November 28, 1616, in ED, Doc. 36, pp. 237-238; letter from Don García de Silva y Figueroa to the king, Filipe III, Goa, December 24, 1616, in ED, Doc. 37, pp. 238-244. 26 On the episode involving Rui Freire de Andrade, see Couto and Loureiro (2007: 82-113), and Floor (2006: 226-230). 27 Royal instructions of Filipe III to Rui Freire de Andrade, Madrid, January 15, 1619, in Craesbeeck (1940: 289-295). 28 Relación de la consulta inclusa de la Junta que trata de las cosas de Persia, March and April, 1620, in ED, Doc. 77, pp. 281-282. 29 For more information about the succession of events leading to the expedition to Qishm and the loss of Ormuz, see Couto and Loureiro (2007: 89-99), and Floor (2006: 227-229). 30 Parecer of the Consejo de Estado delivered to the king, April 27, 1616, in ED, Doc. 50, pp. 255-256. 31 Letter from Dom Frei Cristóvão de Lisboa, the Archbishop of Goa, transcribed in Cordeiro (1896: 197-199). See also Boxer (1935: 77-78). 32 Letter from Fernão de Albuquerque, the Governor of India, to the king, Goa, March 31, 1622, ANTT, SV, Caixa 19, fol. 100. 33 Consulta of the Consejo de Estado, Madrid, January 5, 1623, AGS, Lg. 2645. 34 See Apresentação da Contrariedade de Jorge de Albuquerque, Goa, September 10, 1624, and Certidão dos socorros enviados a Ormuz passada por António Saraiva de Lucena, escrivão da matrícula geral do Estado da Índia, Goa, September 23, 1622, in Cordeiro (1896: 183-184, 210-211). 35 About the Dutch attack on Macao, see Boxer (1991). 36 Consulta of the Consejo de Estado, Madrid, November 11, 1623, DUP II, Doc. 128, pp. 487-489. 37 On the “Voyage of the Vassals”, see Schwartz (1991); and Marques (2011). 38 Junta dos Conselheiros de Estado, Guerra e Portugal, Madrid, August 2, 1624, DUP II, Doc. 157, pp. 523-531. 39 See, for example, the letter from Filipe III to the governor of Macao, January 23, 1608, in Boxer (1991: 257-258). 40 It is important to note that this political complementarity corresponded to the perceptions of the center, which, in themselves, were not free from tensions. In the Far East, the relations between the Portuguese and the Castilians were highly ambiguous. Episodes of military and logistical cooperation were permanently offset by episodes of rivalry dictated by the commercial and religious dynamics of the region. On the other hand, although the centers of decision-making (Madrid or Lisbon) had no intention of permitting trade between the Portuguese and Castilian territories of the Far East, the local and regional dynamics allowed for a strong Luso-Castilian commercial interaction. It was, as is known, the informal structures of the empire that were at work here, constantly contradicting the decisions taken in the center. See, for instance, Ollé (2013). 41 On the relations between the Estado da Índia and the Philippines during the Habsburg government, see, for example, Lobato (2013). 42 Flynn and Giráldez (1996). 43 Flynn and Giráldez (2002). 44 The Habsburg period is often regarded as the time when the Portuguese Overseas Empire turned its attention to the Atlantic Ocean more intensely, although the awareness of the potentialities of Brazil can be seen to have existed some decades earlier (Schaub, 2001: 35; Subrahmanyam, 1993: 158-164). There was a gradual and decisive investment in the Brazilian territory and the way was opened for a profitable triangular trade between Portugal, Brazil and Africa (Costa, 2002: 41, 50). 45 Letter from the governor of River Plate, Santiago, February 19, 1618, Doc. 73, in Salvado and Miranda (2001: 258-259). 46 This does not mean, however, that the Dutch were not already threatening the Castilian position in the Atlantic Ocean. They did so in particular through their presence in the Caribbean and even in North America. See Emmer (2003) and Ribeiro da Silva (2011: 334). Although, as Peter Emmer has argued, the Dutch empire in the Atlantic, and even its involvement in Asia, proved to be far more modest and short-lived than its Castilian, Portuguese or English counterparts (Emmer, 2001; Emmer, 2003), by the early 1620s, the Dutch advance into Brazil was greatly feared in Madrid. It was regarded as a genuine threat, and it strongly influenced the decision-making process regarding the Portuguese Atlantic territories. 47 Letter from the councilors of state and governors of Portugal, Lisbon, February 28 1623, AGS, Lg. 2847. 48 Consulta of the Conselho de Portugal, Madrid, March 10, 1623, AGS, Lg. 2847.